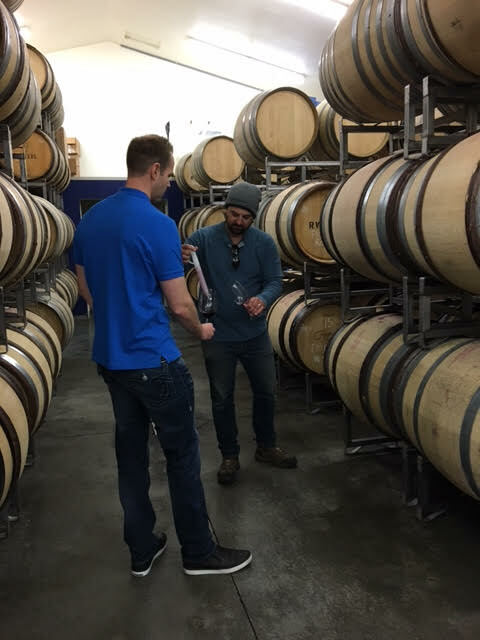 Here I am sampling some wines out of barrel with superstar winemaker, Matt Reynvaan. “2010 was my greatest achievement,” explained Matt Reynvaan. 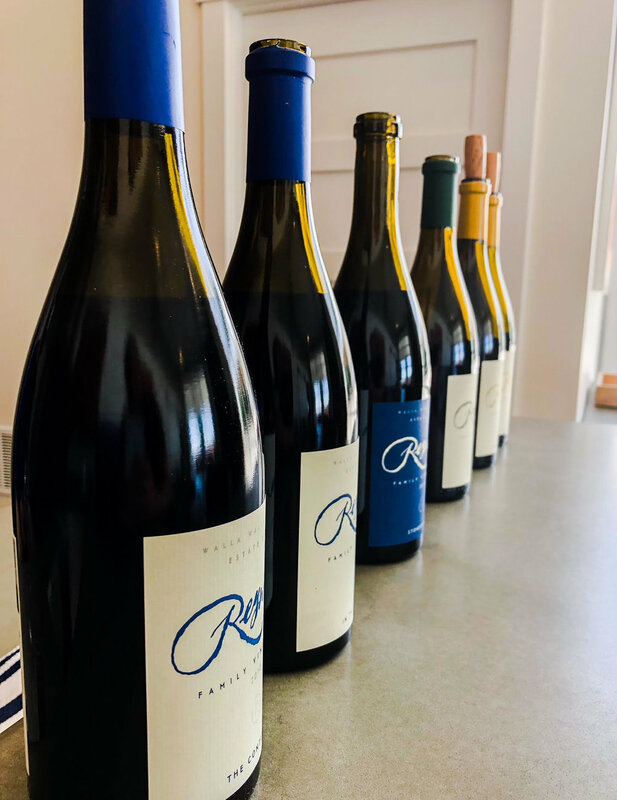 “I’ve been revisiting these wines from 2010 and I was amazed how they turned out,” Matt continued, “which is why I wanted you to revisit these wines.” 2010 in my estimation was not an ideal vintage in Washington State. Marked by cool weather, many typically full-bodied wines were leaner and more angular. Particularly upon release many 2010 Bordeaux varietals were tannic and difficult to approach. Syrah tended to fare better — particularly Syrahs from the stony terroir of Milton-Freewater. My colleague, Sean Sullivan, likes this vintage more than I do, but I have particularly liked the 2010 red wines made from the Walla Walla Rocks District. 2010 was the first vintage where the Reynvaans made the wine at their estate. In 2010 Christophe Baron helped them with processing the fruit and then the fruit was loaded onto a truck and the fermentation was done at the Reynvaan estate. Matt Raynvan did a majority of the work and pump-overs by himself, which he mentioned was a great challenge. At one point Matt averted disaster as mentioned while working in a fermenter his foot hit the clip, connecting the attachment piece and juice of the bottom of the tank started pouring out from the pressure from the top. He had to stop the wine from flying out and he could not find the cap. Fortunately his mother was called and he had to grab the cap after gallons of wine was lost. Having tried these great wines I can’t imagine how disheartening that event must have been for Matt.